The golden colored beer quartz looks eye-catching in all new concave cut heart shaped bead. 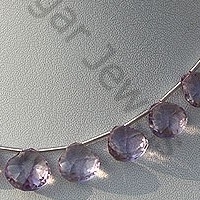 We have given a new dimension to jewelry by introducing the shape for jewels. The romantic and stylish shape increases the beauty of gemstone manifolds. It gives gemstone a timeless look making it perfect choice for every occasion. The shape is blend of two popular shapes, the heart and concave. Here the heart shape is skillfully crafted inward to give it the concave shape. Browse through our collection of Crystal Gemstone, Rose Quartz, Green Amethyst, Cognac Quartz, Lemon Quartz, Black Rutilated Quartz, Champagne Citrine, Honey Quartz , Olive Quartz, Pink Amethyst gemstone in concave cut heart shapebeads. 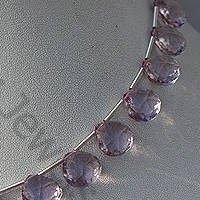 Our gemstones are famous for being mesmerizing and absolutely genuine. We assure you the best price for all our products. Beer Quartz Natural Gemstone is varied minerals on earth, possess property of transparent, eye clean with vitreous luster and are available in beer color with concave cut, Heart Shape. 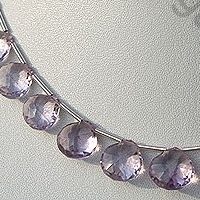 Pink Amethyst Gemstone is a violet-pink variety of natural quartz, possess property of transparent and are available in light pinkish-violet color with concave cut, Heart Shape.